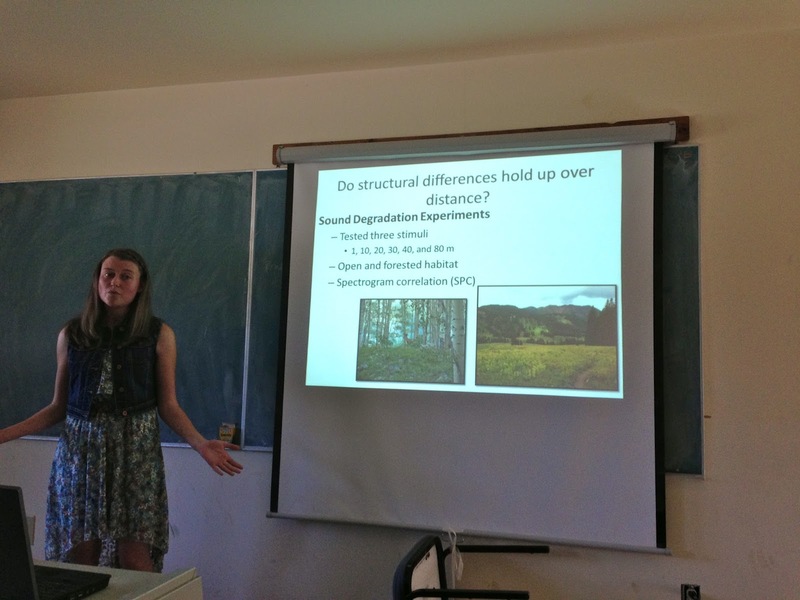 Summer research has come to an end here at the Rocky Mountain Biological Laboratory, so our undergraduate students presented their findings at the annual symposium. 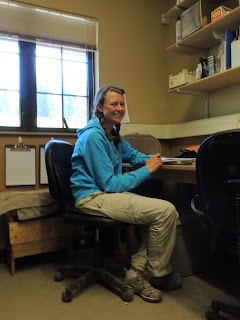 Lilah Hubbard joined us for fieldwork from our lab at UCLA. Her research focused on the effects of group size on social structure in our female yellow-bellied marmots. 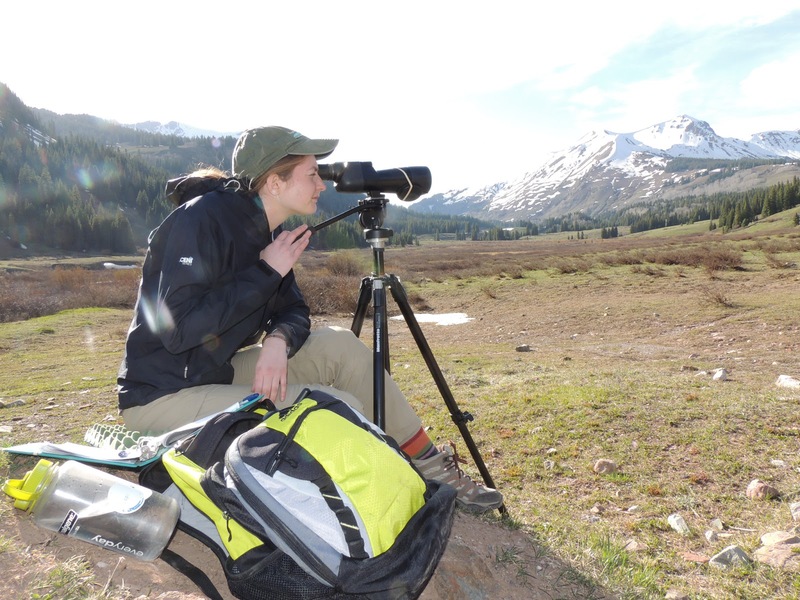 Dana Williams from Wellesley College also helped trap and observe marmots, specifically studying how spontaneous movement affects their alert distance and flight initiation distance when approached by a human. 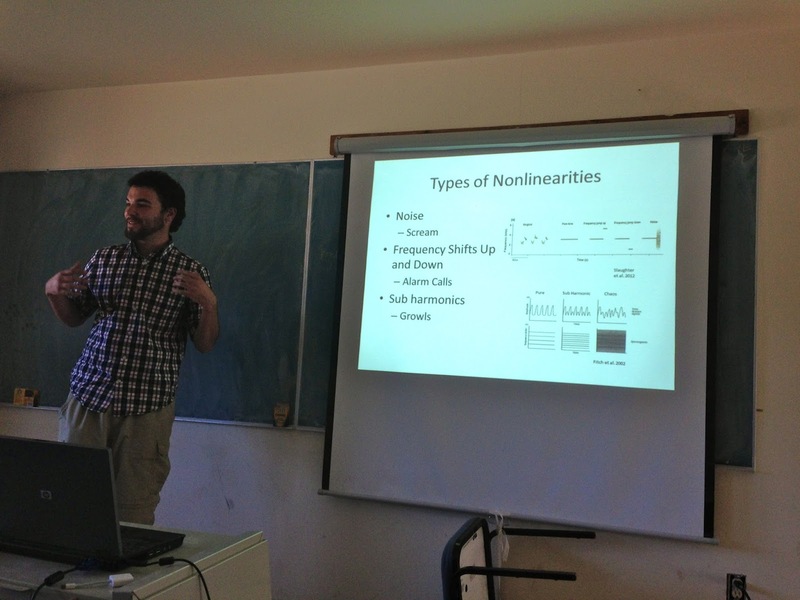 Seth Kapp from Chaffey College examined how different types of nonlinear sound alter behavior in Lincoln's Sparrow through a playback experiment. 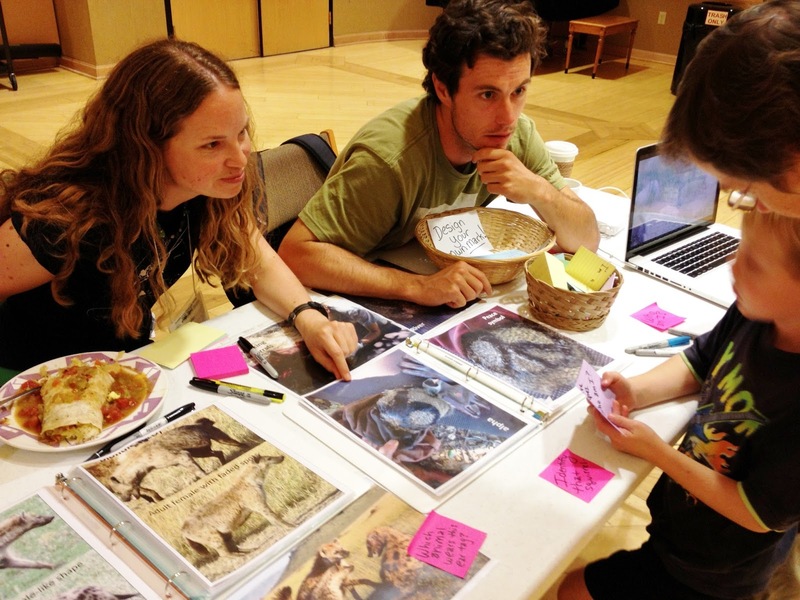 Jessica Whitaker from Southern Illinois University Carbondale was also interested in bird behavior. She tested the nonlinearity hypothesis, investigating whether noise evokes a different response than chaos. I'm Tiffany Armenta, a new-ish graduate student in the Blumstein lab. In addition to the standard observations and samples we collect when trapping, I am stabilizing RNA from the marmots in order to look at genes expressed in their blood. I aim to compare the expression profiles of different phenotypes in order to see how environmental conditions can affect the genetics of individuals and, in turn, how these profiles may alter an animal's physiology. For instance, I think it will be interesting to compare marmots that consistently exhibit signs of high vs. low stress (based on behavioral and physiological data). Studies of other (mostly model) organisms show over-expression of anti-inflammatory genes and under-expression of anti-viral genes in stressed individuals so it will be interesting to see if these patterns persist in a natural population. I am also interested in the underlying mechanisms that occur when an individual prepares to disperse, so I focused on collecting RNA from our yearling marmots this summer. These guys will likely be exposed to new pathogens during this journey and will travel much further than they ever have in their entire life, so I expect dispersers to show a different pattern when it comes to metabolic and immunological genes. In order to do this, I have to first build the marmot transcriptome, which is basically just the transcribed regions of the species' genome. This may not look like anything special, but it took me months of quality control and program queries to get this figure, which shows RNA sequence data that aligns to the 13-lined ground squirrel genome. 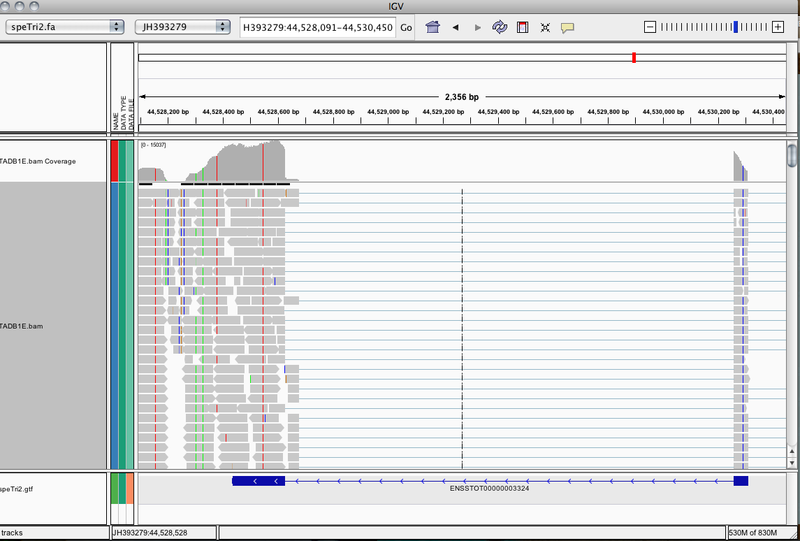 The lowest window here represents the squirrel genomic sequence: exons are blue blocks and introns are the lines with arrowheads. 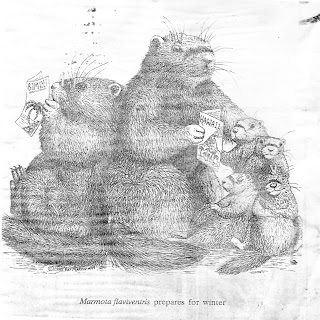 The large middle window displays marmot sequence (from one individual) that aligns to the squirrel genome, with each line representing a unique expression of that sequence. 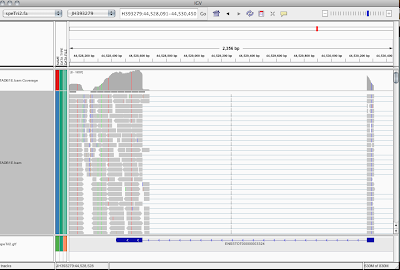 Note that the majority of the marmot sequences (small gray squares) align with the squirrel exons. This was the highlight of my week because RNA should only be exonic sequences, so this means I've done something right! Success! I'm filling out my annual NSF report now and want to both thank the NSF for on-going support on the marmot projects and point out that this is our blog, and is in no way vetted by the NSF. The last member of the early season team Marmot! 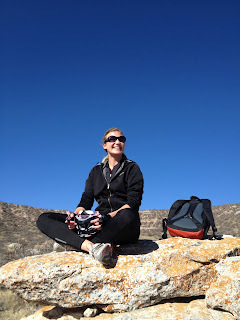 My name is Line Cordes and I was the last member of team Marmot to arrive in late April. I am from Denmark, but have lived elsewhere for the last 12 years pursuing a career in population ecology. 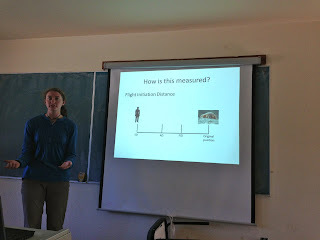 I completed my MSc and PhD at University of Aberdeen, Scotland developing and running an individual-based study of harbour seals, studying their demography and pupping phenology. During the completion of my PhD I took on a postdoc where I, as part of a team, investigated the impacts of seismic surveys on cetaceans. 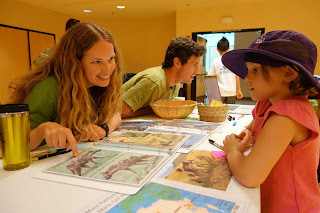 Most recently, I have moved to Fort Collins, CO with my husband who was offered a postdoc at CSU, and I have been working as a visiting scientist either volunteering or taking on contracts both within and outside of CSU to analyse data within the field of population ecology. I arrived at RMBL just in time for the emergence of the first marmots. 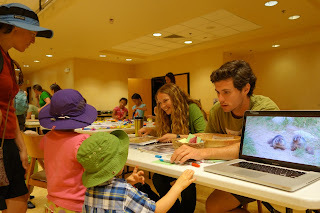 This meant that it was a speedy introduction to identifying individuals as well as observing and documenting their social behaviour. I was assigned one particular colony called Avalanche for the first three days and enjoyed the challenge of trying to keep track of eight playful yearlings running rings around an adult male. Gothic is truly a stunning place to live and work, and what a pleasure to have it to ourselves for a few weeks before it officially opens. 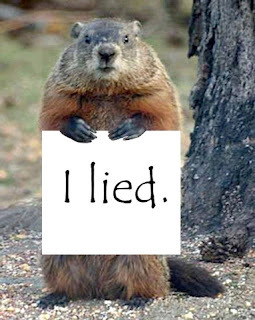 Turns out that you just can't go around predictin' or prognosticatin' about the weather without consequences in our litigious society and the State of Ohio is filing felony charges against our favorite celebrity rodent! 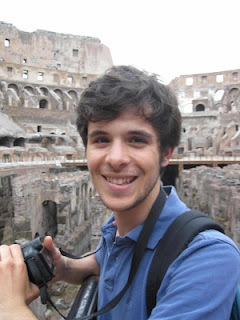 Dr. Julien Martin has just started his new job as a Marie Curie Fellow and a Lecturer at the Institute of Biological and Environmental Sciences at the University of Aberdeen, in Scotland. Join me in congratulating Julien! Timothee has recently joined us for a two month stay. 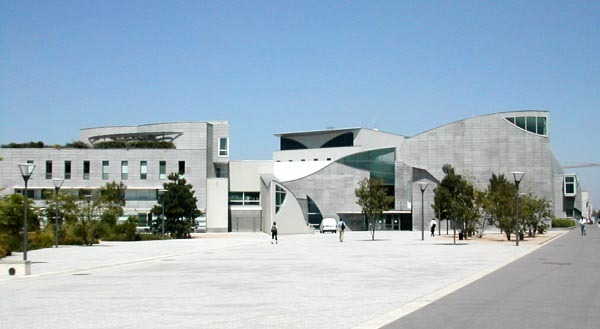 "After a two-year intensive course in Biology, Chemistry, Physics, Geology and Humanities, I've been accepted in my current school, the Ecole Normale Supérieure de Lyon (France), which fortunately really cares of its students! As a graduate student, my studies go from theoretical works to concrete projects, such as the one I'm beginning in my UCLA internship. During the 5 months of my stay here, I'll try to understand the maternal effects on the anogenital distance (a proxy of masculinization and early exposure to testosterone) of yellow-bellied marmots, that is to say how much of an individual anogenital distance is explained by the breeding value of its mother. And I'll have the chance to go in the field, in RMBL, to observe my new favourite rodents until the end of June ! If you want one, there's in attached file a picture of my school." ...that according to a NY Times article, baristas in Sterling Coffee Roasters in Portland, Oregon, shout out "Marmot!" when an attractive customer is in line. 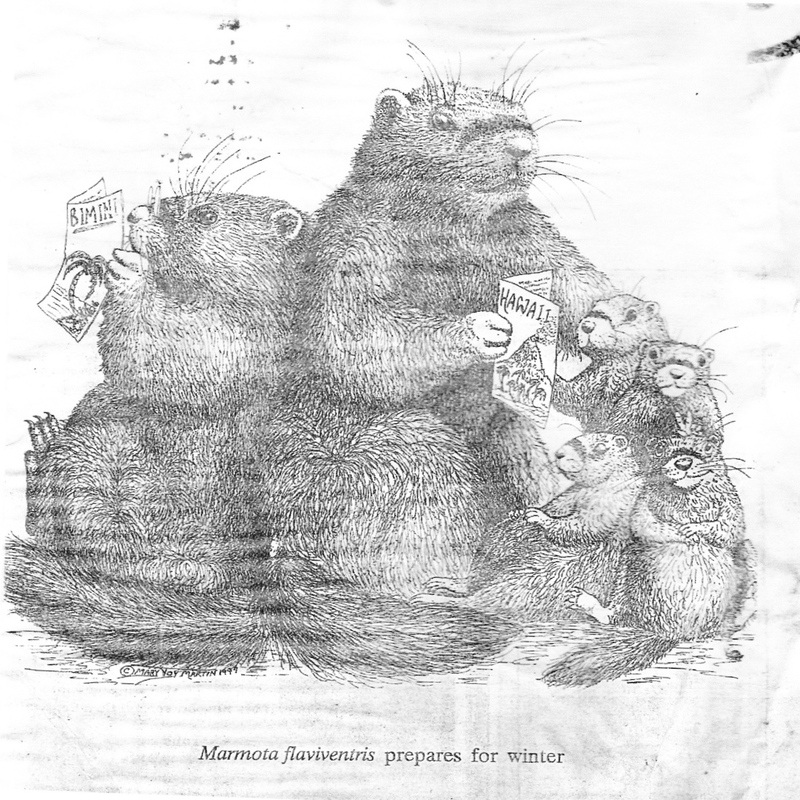 It seems the baristas stand at attention like marmots following the cry! Did you know that Alaska doesn't celebrate Groundhog Day, but they have an official state holiday called Marmot Day. You can read about the history of the State Bill here. 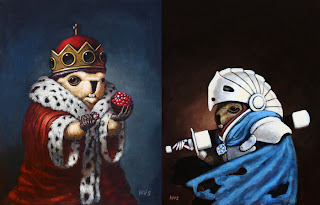 Happy Marmot Day! Seems it's cloudy all over (including LA!) and early spring is predicted! Meanwhile, the LA Times visited our annual lab groundhog day party yesterday and wrote a feature article! 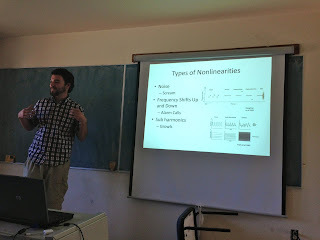 I gave a talk at NIMBioS the other week and the talk has just been posted. The Sound of Fear: A Journey from Marmot Meadows to Hollywood.